Welcome to Lee Miller Rehabilitation and Associates! We offer outpatient physical therapy services in the Owings Mills and Catonsville areas. When you come to Lee Miller Rehabilitation you receive the highest quality of care from our licensed physical therapists that are also board certified in specialty areas. Our friendly and caring staff is available to you to enhance your rehabilitation. At LMRA we provide a large variety of services to address conditions related to painful syndromes, sports related injuries and neurologic impairments. We also have expertise in the treatment of vertigo and tempomandibular dysfunction (TMD or TMJ). Many of our patients tell us that we have been able to eliminate conditions that have not been successfully treated at other facilities. Dr. Lee Miller graduated with a Bachelor’s degree in physical therapy from the University of Maryland, School of Medicine in 1978 after obtaining his BA in biology from University of Maryland, Baltimore County. He obtained his board certification as a Clinical Orthopedic Specialist in 2003 and his Doctor of science in Physical Therapy in 2008. He is very passionate about helping his patients obtain their maximum level of function and has dedicated his life to advancing his credentials to obtain new skills. Lee’s professional experience includes hospital based practice; including being a department head, home care and extended care facilities. He is very active in the American Physical Therapy Association holding many roles in leadership and served on the Maryland State panel for low back pain. Lee feels that performing a thorough evaluation of his patient’s condition and analyzing the movement dysfunction, leads to more precise treatment and a better outcome. Moreover, he believes that the “patient-therapist team” will result in the best and fastest recovery, so that every patient must be involved in their home exercises and committed to lifestyle changes that will augment the care provided in the office. When out of the office, Lee enjoys an active lifestyle. He is interested in biking, skiing, rock climbing and hiking, and therefore has a unique prospective in helping individuals who are recovering from sports related injuries. 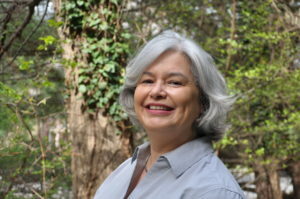 Teresa Kaidy completed her Physical Therapy degree at the University of Texas Health Science Center at San Antonio in 1990. In her career as a physical therapist, Teresa has worked in inpatient rehab, outpatient rehab, and home healthcare settings. Her experience includes neuro rehab, orthopedics, TMJ treatment, vestibular disorders, amputees, and pre and post-surgical joint care, as well as balance. She is recently board certified in dry needling, and excited about the potential this technique adds to her toolbox of skills to reduce pain and maximize patient function. A recent empty-nester, she and her husband enjoy spending time together traveling, sight-seeing, history, cooking, and walking. They enjoy spending time with their adult twins when they can. We are excited for all of our patients to get to meet and work with Teresa. She is a great re-addition to our team at LMRA since is returning to us after a re-location from California. Her expertise in pain management, manual therapies, applied taping techniques like kinesiotaping, musculoskeletal rehabilitation, and balance training will be of tremendous benefit for patients.